Over the next 2 weeks at Journey to Joy, I will be discussing Anxiety: What it is, what it feels like, the impacts, causes, and treatment. It’s very common for people to experience Anxiety, but not realize that it is actually Anxiety. Often they refer to it as “anticipation”, “nervousness”, or just “stress”. Anxiety can differ from person to person, but there are a few symptoms that are always consistent. I’m going to attempt to explain how Anxiety may feel, keeping in mind that the experience can be different for each person. It can affect almost every part of a person’s body. It can cause headaches and migraines, muscle tension, muscle aches, stomach issues, and breathing problems. In addition, it can make you nauseous to the point of diarrhea or vomiting. It’s common for Anxiety to be confused with having a heart attack. Oftentimes Anxiety will cause your heart to race, and feel like it’s going to beat out of your chest. Sometimes it may feel like a brick is on your chest, and you may have difficulty breathing. It can cause extreme fatigue and feeling exhausted. Despite feeling tired, you may battle sleeplessness as well. Anxiety can make your body shake and tremble. It can make you dizzy. It is possible to faint from anxiety, although it is rare. You may experience hot or cold sweats, restlessness, and feeling “on edge”. You may feel itchy or break out in a rash. Some people will pick at or rub their skin, bite their nails, lips, or tongues, or scratch themselves when anxious, without realizing it. It’s important to briefly talk about Panic Attacks. Panic Attacks are a very quick, paralyzing form of Anxiety. Panic Attacks are often accompanied by hyperventilating, tunnel vision, feeling like the room is closing in, racing thoughts, feeling like you’re choking, and nausea. Some even describe Panic Attacks as an out of body experience. It’s not unusual to feel like you are going to die during a Panic Attack. They are very scary, especially if you are experiencing one for the first time. If you are experiencing Panic Attacks, please reach out for help! In addition to the physical symptoms of Anxiety, it also has an impact on emotions. Anxiousness can cause you to feel irritable, depressed, and edgy. You may have trouble concentrating on tasks, have no motivation, or feel very forgetful. You may have an anger outburst, or a crying episode. It may feel very difficult to control your emotions. Anxiety can make it very difficult to function. When you are anxious, it’s hard to focus on doing your job, taking care of your family, or even taking care of yourself. You may feel apprehension or dread of an upcoming event. You may even feel tense, jumpy, or paranoid. Your fears may be irrational to others, but feel very real to you. Anxiety can make you feel like you are losing control. Your thoughts and mind may race, and feel very unmanageable. You can experience Anxiety and not have physical symptoms, because sometimes all of the symptoms appear cognitively. Anxiety causes you to fixate on something, and replay the different scenarios multiple times. This is called ruminating. Rumination is repetitively replaying a situation through your head without any conclusion. Let’s use a specific example to describe what rumination feels like: Imagine you are starting a new job with a new company. You don’t know what to expect your first day, or what the environment will be like. If you experience Anxiety, you will probably fixate on this new job for weeks before you even start it. You may run different scenarios through your head of how it may go. You may plan out things you want to say to certain people. It’s possible that you may replay the first day with many different versions of how it will go. You feel anticipation as the day gets nearer, and almost dread the new job. Anxiety is often created when things feel very out of control in your life, and fear creeps in. When your Anxiety causes you to ruminate, you struggle to stay present. You are so focused on the “what ifs” that you struggle to stay in the “what is”. Anxiety is often focused on the future, and causes you to miss things in the present. It’s also not unusual to have Anxiety after an interaction or an event has occurred. You may replay what happened and mentally beat yourself up because of how you acted, and for how you wished it would have gone. You may try to anticipate how others perceived you, and fear judgment. Using the same example of starting a new job with a new company, you may feel inadequate after meeting all of your coworkers. You might replay conversations that you had with your new boss, and cringe when you realize that you didn’t come across as professional as you had hoped to. You may lose sleep over the anticipation of going back tomorrow, because you fear that you made a bad impression. Anxiety can definitely interfere with your work, family, marriage and relationships, and over general functioning. You may lose out on opportunities because of the fear Anxiety creates, or you may try to control those around you because of your Anxiety and fear. 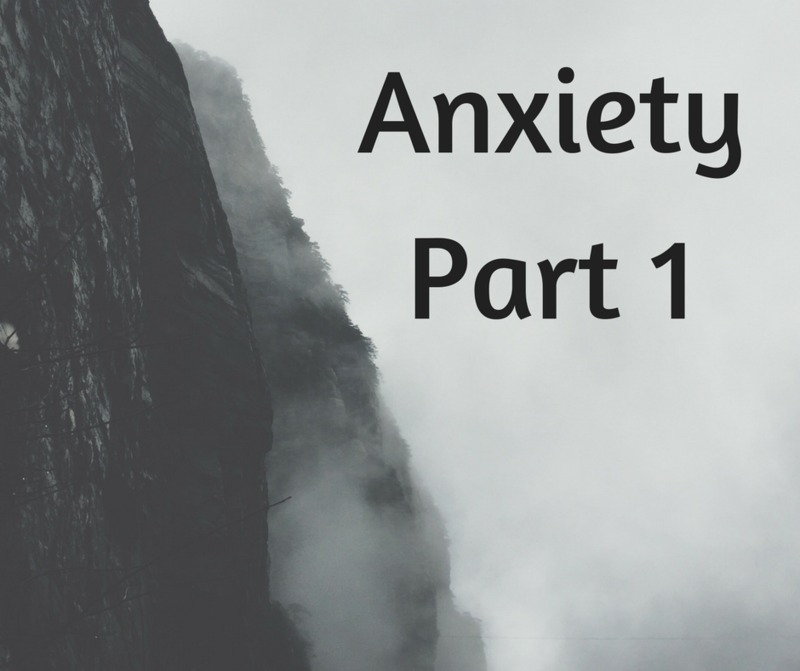 Check back next week as I will discuss causes and treatment options for Anxiety. If you feel you may have Anxiety, please reach out for help! ← What are The 5 Love Languages?